Welcome to another round up of the month in Fethiye – goings on around town and a little bit about what we’ve been up to, as well. It’s been another bumper month and we’ve had – and still have – lots of friends over to keep us extra busy. After months – nay, years – of piles of rubble and soil being moved from one spot to another and wondering if anything will ever be finished in this little area, all of a sudden, we have a beautiful park. It’s still not fully complete – estimated completion date of late July / beginning of August – but the workers seem to be completely on track. We have features, turf, sprinklers, kids’ play areas, seating areas, plants and trees, water features, and, as promised, the cycle track and the running track wind through the full length of the park, side by side. Both are laid and all marked up. We can’t wait to be able to run through the park. 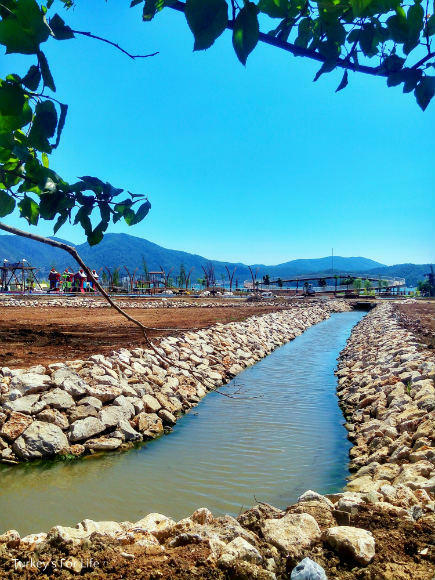 When it’s all open, the whole Fethiye running track will be 2.7 km long. A couple of lengths of that will be a lovely morning run with great scenery to boot. 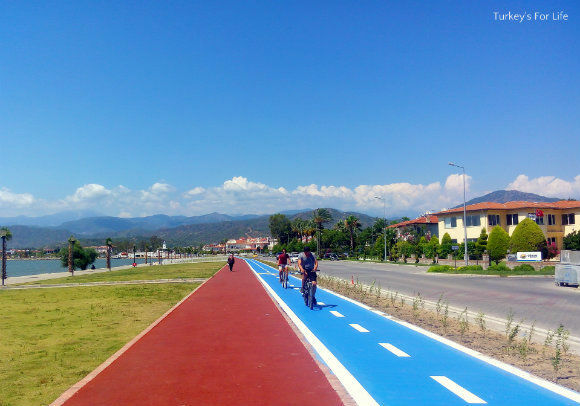 Speaking of cycle tracks… For some, Fethiye’s new cycle track is not too popular, causing lots of comments and discussion on social media, as in our Instagram photo from earlier in June. At the top end, in town, it runs along the centre of the harbour. Some dislike the blue and white colours, others don’t think it’s safe. We can see all points of view. But the cycle track is all marked up now and, as for us personally, we’re fans. It’s not ideal that it goes along the centre of the harbour at the top end…but we can’t think that there’s anywhere else for it to go. And there’s always going to be someone on a bike not using the track, or pedestrians wandering along the track getting in the way of cyclists but generally, the track is being used well. And as for the cyclists using the track, well how lovely that they don’t need to worry about the main road throughout a good-sized section of town. The track starts at the beginning of Fethiye harbour and looks as though it is going all the way to Çalış, past Duck Island and then through the side streets. We’re all for outdoor activity and minimising road traffic – pedestrian, running and cycle zones are a welcome part of Fethiye for us. We just need to make sure we all play nicely. We’ve decided to add a bit of a new feature to our Fethiye monthly round ups. Every Monday on our Facebook page, we post the weather forecast for the week ahead. So, we’ve decided to bring those forecasts together then we can all have a rough idea of the what the weather has been doing throughout the month. There’s always variations in weather forecasts, depending on which source you use and our forecasts are a fun rough guide. It’s been quite odd weather for a Fethiye summer so far and, as you can see in the photos, we’ve had some good doses of cloud and rain. Much of the time, the cloud has remained trapped in the mountains and the forecast rain has not materialised at sea level. The mixed bag is definitely testing the weather forecasters though and throughout June, forecast sunshine has become cloud and vice versa. 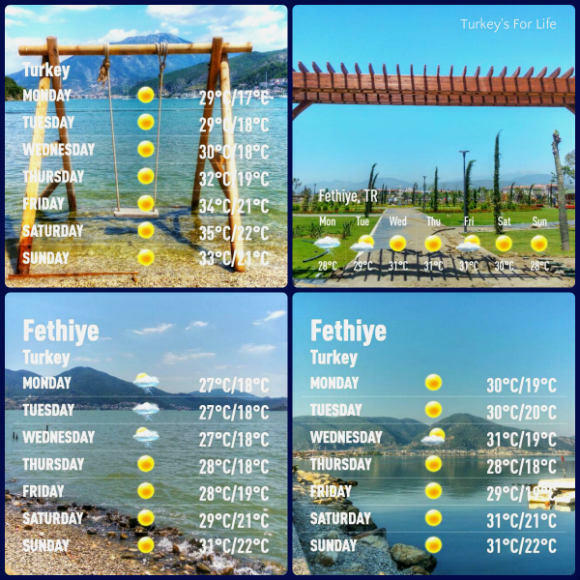 These monthly forecasts will be linked to on our Fethiye Weather page under the relevant months and then, if you’re booking a holiday or some travel in the area, you can have a bit of an idea of what type of weather to expect. 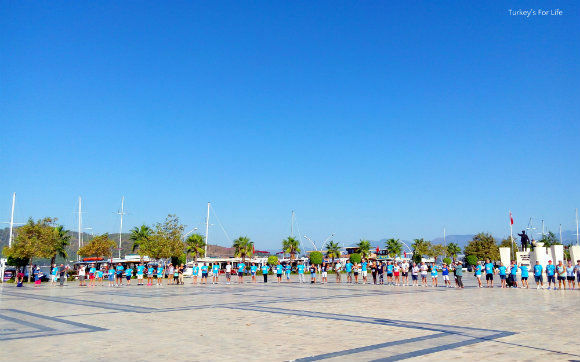 Last October, around 200 of us took part in Fethiye’s Yaşam İçin Yarış. A 5k run/walk/stroll (whatever people want to do) along the harbour raises money for oncological services at the Fethiye state hospital. There’s medals for the first three wheelchair racers, kids, women and men. And the rest of us just enjoy the morning and taking part. Anyway, figures are in and it’s always nice to see what the event achieved. The money has been used to make patients generally more comfortable whilst undergoing chemotherapy. We’ll definitely be taking part in this year’s event. If you’re in the area at the time, put Sunday 14th October in your diary and join the fun whilst helping to raise money for a great cause. Because we always do much more of this when friends start to come out to play. No new additions to our Fethiye Restaurants & Bars page for this month – that means we’ve been back to some old favourites. Pizza and drinks with friends at Cafe Park Teras. Barry’s mum’s birthday is in June and that was celebrated with a tasty lunch at Sarge’s. In the UK, June 1st marked National Fish & Chips Day. Charcoal Palace in Çalış is a perfect place to celebrate that day in Fethiye. And, most recently, we’ve been back to Kaya village with visiting friends because they were itching to go back to Cin Bal after three years. No arguments from us on that one! As well as eating and drinking, we’ve been beachy, too. We’ll tell you more about this over the next few posts but we’ve got a new addition and an update to add to our Fethiye Beaches page for you. 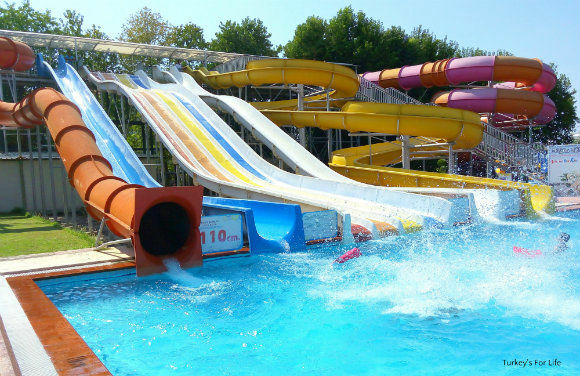 Other fun in the sun was a day at Sultan’s Aqua City in Çalış. Lots of laughs there for both kids and adults! Visit our page for more ideas of things to do in and around Fethiye. Not quite sure how we’ve juggled this, but for some reason, this month has still allowed us to make lots of food at home. 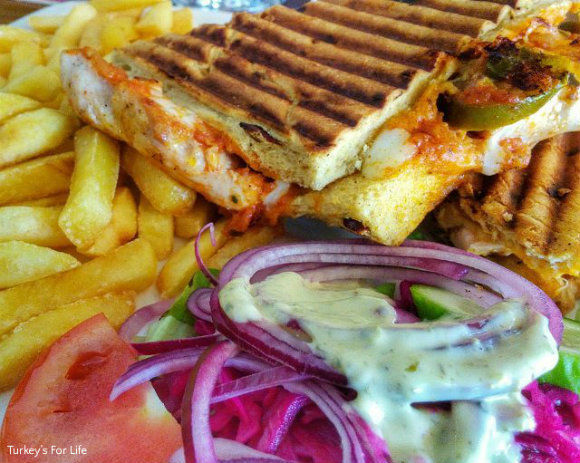 We’ve experimented with some new recipes, both Turkish and international. We’ve also made lots of favourites that have been really handy to have in the fridge so we can just grab a quick lunch before dashing out to meet friends. As it’s summer, we’ve been drinking a lot of ayran so we decided to make our own, too. 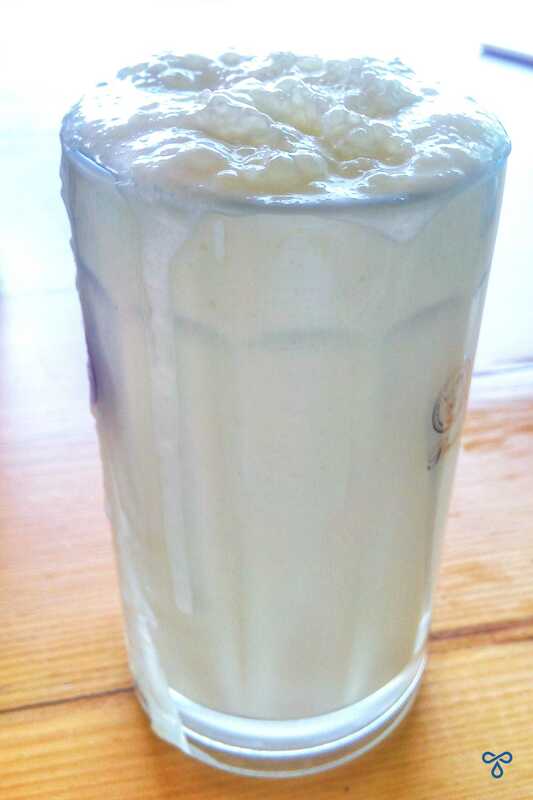 That meant we could update our article and add an ayran recipe to it. Other dishes we’ve made have all been shared on Facebook and on Instagram Stories, too. The list is long but we’ve made chicken schnitzel, kısır, lots of refreshing green lentil salad, chickpea salad. And we shared our aubergine salad recipe, too…but never got round to making it this month. We’ll bre adding some more new dishes to our Turkish recipe collection over the coming weeks. There’s that cycle track again! Cafe Park Teras is a great spec for getting photos of a bit of a urban Fethiye, as well as the bay. A bit of early evening light in this shot. Beautiful! And a last minute addition, just before publising this post. Not Fethiye but we do have nesting areas for Caretta Caretta in Fethiye so it’s relevant. And it’s July 1st, not June but we all love a good feelgood story and it is important news. At Iztuzu Beach in Dalyan, the first of the season’s baby turtles hatched and made their way to the sea. As turtles are endangered, it’s great news that these hatchlings have begun their journey and it’s hoped lots more eggs will be laid on the beach throughout nesting season. 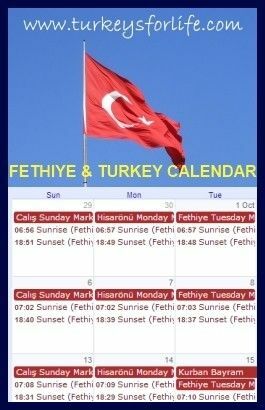 Fethiye In February – What’s The Story?